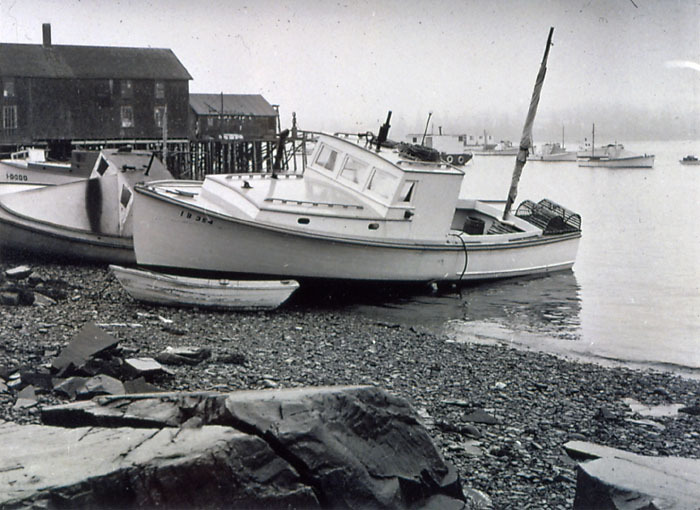 This photo shows something of the evolution of lobster boats in the mid 20th century, when some were open boats, like the one in the foreground, and some had spray hoods and deckhouses. The open boat is a double ender, perhaps dating from the 1910-20 period and may have been hauled out to die. The spray hood visible on the second boat and several in the harbor became more common as boats got faster using converted automobile engines after World War II. 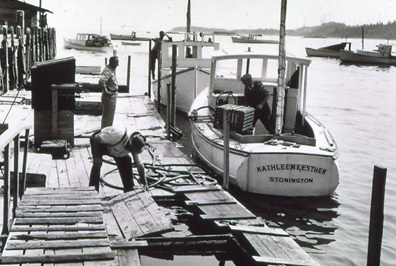 By 1960, virtually all lobster boats had switched to a solid deckhouse. Lobster boat in Bass Harbor, on the southwest corner of Mount Desert Island. 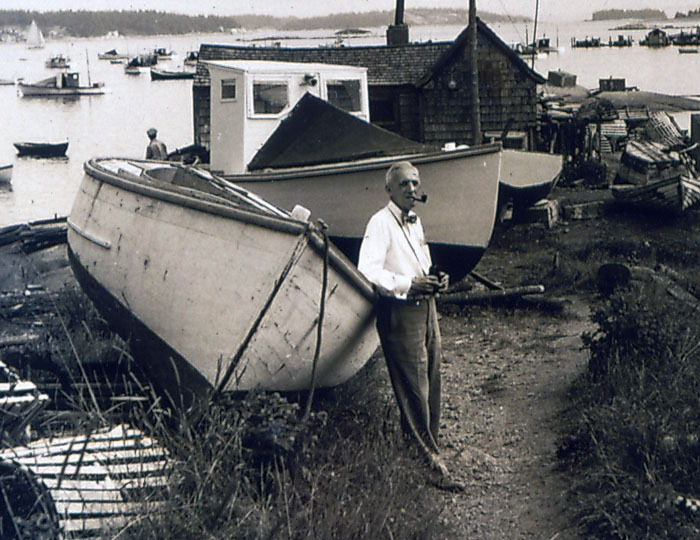 This photo shows an evolution in lobster boat design The boat at mooring on the right has only a canvas spray hood. The boat pulled up on shore has a combination spray hood and hard deckhouse, and the boat in the foreground has a more modern wooden deckhouse. The steadying sail keeps the boat from rolling in a sea while picking up traps. Today's lobster boats are much wider (beamier) so that they don't roll as much. Photograph by Carol Thayer Berry. Lobster boat Kathleen and Esther at dock in Stonington. The dock serves also as a lobster "car" or storage place for live lobsters. 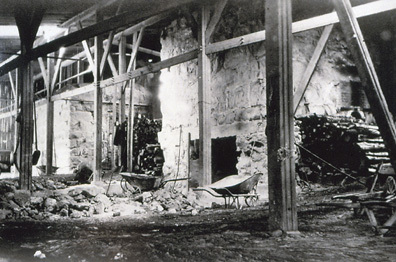 Interior view of a lime kiln, showing lime and cordwood. 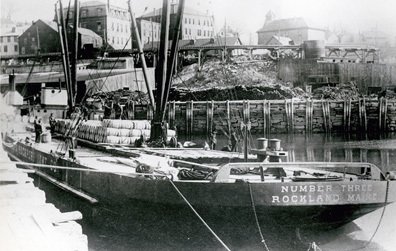 Rockland-Rockport Lime Co. Barge #3 loading lime casks at the wharf in Rockport. The barge was towed south by a tugboat. 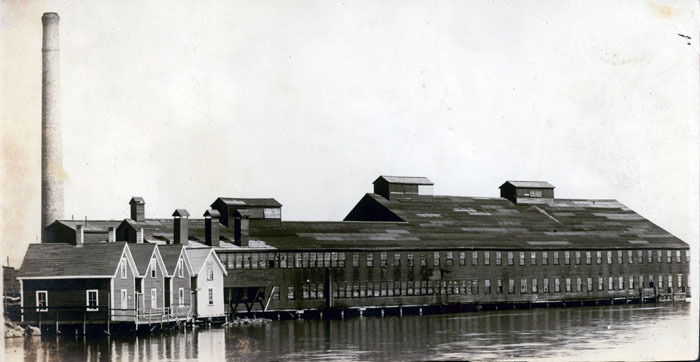 In 1925, this was the largest sardine factory on the Atlantic Coast, owned by L.D. Clark & Son. And Eastport was the "Home of the American Sardine," as that is where sardines were first canned in the United States, beginning in 1875. By this time the plants numbered 10. 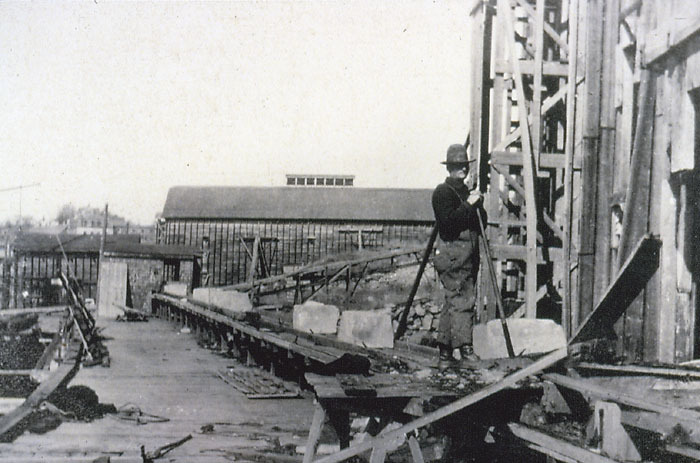 This factory was 250 feet long, employed 500 men and women, and packed 4,000 cases of 100 cans each daily when there were herring. Ice houses in Rockport harbor provided cold storage until the ice demand increased in the summer time. Sawdust was sometimes used as insulation. 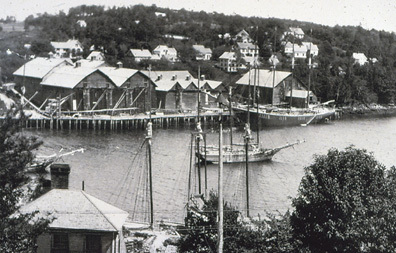 Ice houses in Rockport Harbor provided cold storage until the ice demand increased in the summer time. Sawdust was often used to insulate the ice blocks. 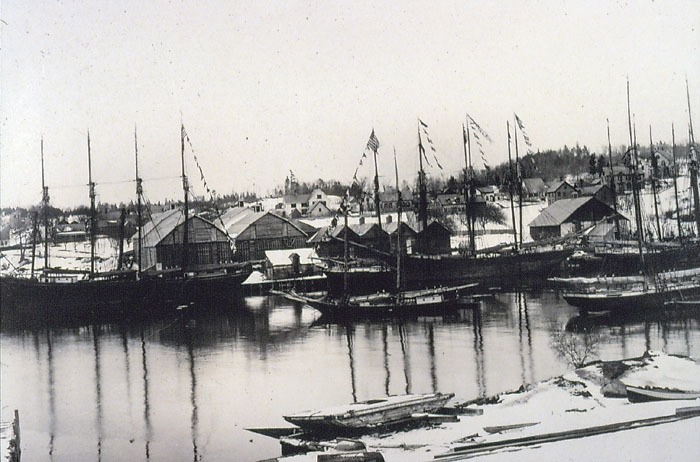 Many schooners are laid up for the winter. After the ice was brought to the ice house, it was conveyed in and out of storage. 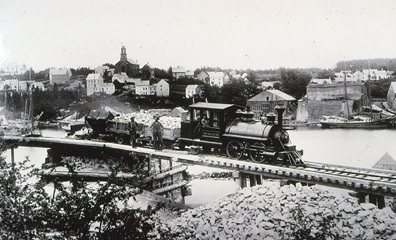 Often, ice was moved by gravity in chutes, or by human power; but later, powered conveyors moved the ice.